Lockner Estate TRA | The Lockner Estate Residents Association represents the 210 homes living on the Lockner Estate situated between De Beauvoir and Dalston. 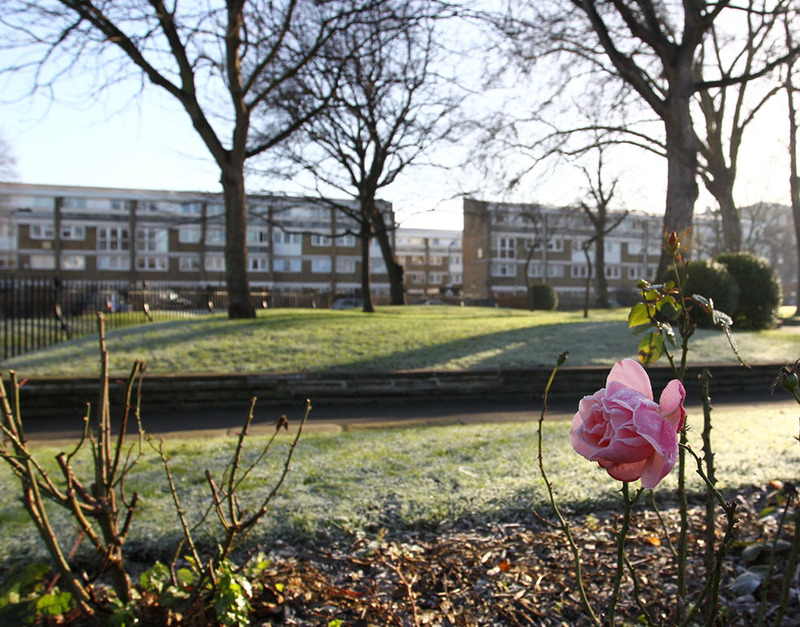 We liaise with Hackney Council on behalf of the tenants and residents to ensure that Lockner is well looked after and a nice place to live for us all. We are very active socially and run events for residents regularily which help to achieve a great sense of community on Lockner. Maria re-elected as Treasurer. She highlighted that we have £7000+ in the bank account so we have a lot of opportunity to hold community events over the next year. Chase communal repair team again, and investigate other solutions, re bin doors on Blandford and between Dorset/Stratton (EM) – This has been raised and should be fixed in April. Chase Sean re meeting about funding application (EM) – Meeting completed. Chase mirror on stairs which was supposed to be installed after the last walkabout (EM) – Hackney Homes want to review this at the walkabout in April to decide where and whether to put this. Check whether pram shed doors coming loose from brickwork is users’ or council’s responsibility (EM) – This is users’ responsibility. Contact Katie Cross re community cooking event (FB) – Done. Hackney are becoming increasingly strict and concerned about flammable items on balconies – they may start to say that we can’t have plastic flowerpots on balconies or outside front doors. It was suggested that if this happens, the TRA could use some of its spare funds to offer to replace existing plastic pots with non-flammable alternatives. There will be a walkabout on 24th April at 11.15am where residents can suggest estate improvements to Hackney Homes staff. All the pramsheds have now been reviewed and properly allocated by Emmanuel, there is only one without a known owner now. We discussed the draft residents’ survey and agreed we’d be happy to send it round for paper or online completion. Thanks to Natalie for drafting. We would like to translate it into Turkish as well in order to include more residents. This is coming up in a few months – Lisa will send an email round to start getting people together to arrange it. A fence on the back of a Blandford Court garden has completely fallen down. EM says he is aware and dealing withit. The trapdoor above 59 Blandford has been left open and is banging in the wind. EM will investigate. Having frequent problems with poor signage on the estate and lost delivery people – the only map is at the corner of St Peters Way which is not a common route into the estate. To review at walkabout. We have access to a budget from the council to improve communal spaces on Lockner; playgrounds, stairwells, trees… anything you think would be nice could be considered. The budget is called the Resident Led Community Improvement Budget (RLIB). It is accessed by a “walk about” on the estate with managers. While walking about the estate you can point out problems; things that need sprucing up, or new ideas. The RLIB will be on Wednesday 24th April at 11.15am – meeting out side the community flat, 23 Blandford Court. If you are unable to make it but have ideas, needs or suggestions, feel free to get in touch with us and we can pass these on. Either email locknertra@gmail.com, or pop a note through the letterbox of the community flat. Need you car Cleaned, Lockner? We’d hugely recommend this lovely, local company who will come to your car to professionally clean it for you. Prices start from £20. You can book online or text James on 07453 309 333. Our AGM is next Wednesday in the community flat. This is an anual meeting that has to be held to enable us to carry on as an association; and get funding for our lovely events through the cancel. We have to have a minimum number of people attend this meeting in order to keep going, so if you choose one meeting to attend this year, please choose this one (and drag a neighbour or two along!). We will go over anual reports and hold votes for officer positions (Chair, Vice-chair, Secretary and Treasurer). If you would be interested in getting involved as a new Chair, Secretary or Treasurer or anything else, that would be great. You could put your name forward on the day. If you wouldd like to know anymore then drop us a line and we can let you know whats involved. This is followed by a ‘normal’ meeting where we discuss issues, needs and news on Lockner. MG and LL to meet with Sean from LB Hackney, for funding application before 30 September – Sean has not been reachable. EM to chase. The panto went well. We spent £1482 on tickets, and all tickets sold out again. LL said thanks to Sammy for stepping in to distribute the tickets and help get it all organised. Next year we might buy some more tickets, we still had more demand than we had tickets to give out. We have quite a lot of money available in the account – there’s currently £7000 in the account, and we’d like to do some kind of extra community event with it, maybe plus some council funding. Favourite during discussion would be some kind of community kitchen event – we’ve submitted a quote to the council for that. In Whitmore Hall there is a community kitchen available for use, we could run a session in February half term to include families. We’re not sure how to structure or facilitate it. FB to contact Katie Cross (ex resident who’s now a professional cook) to see if she can help or recommend contacts. NM to draft a survey to distribute on paper to all residents to advertise the event if we can, and also to find out what other kinds of things would be popular and to advertise the big lunch. There was a mattress set on fire this week outside Blandford Court. Not clear how it happened, but thanks to the Hackney cleaning team for clearing up the superficial mess very quickly. Cordelia Harwood couldn’t make it today but is looking into lease extensions for leaseholders, if others want to do the same then please contact FB and you can share research. Bin chamber doors on Blandford and between Dorset and Stratton are still a nuisance – low on hinges, frequently left open and making a mess. EM to investigate whether signage or mechanical solutions might help. EM is still doing Pram Shed reviews. He has a few still to follow up as 5 are unclaimed, but anyone who’s already sent him a message should be fine. MG mentioned that one of the sheds on Dorset Court has a metal gate coming away from the brick wall – EM to check whether this is the user’s or the council’s job to rectify. TO mentioned Big Lunch preparations – we agreed to put this on the agenda for the March AGM. Get there early to avoid disappointment , tickets are limited. First refusal given to residents who are involved with organising and running the Big Lunch – so get involved next year if you don’t want to queue! The Big Lockner (cArNiVaL!) Lunch 2018! Sorry for the delay in posting this, but better late than never! Since writing this, Lockners Big Lunch has been used as a case study (again) for the National Lottery: Project Big Lunch 2018. You can see more information, and some pictures from Lockner on their website here. Thank you to everyone who came to share food and neighbourly love yesterday. The sun shone and the Jerk just kept coming! A huge thank you to everyone who made this day possible, particularly Lorenzo, who spent days tirelessly preparing and hours cooking his amazing Jerk, bream and rice and peas for us all. Neighbours all contributed to our lunch table and we sat, talked, shared and laughed together well into the evening. We are all so lucky to live here in this little bubble in the middle of the city, with such a strong and friendly community. All of this is possible because of our residents association – so please get involved if you haven’t before. We are hosting our own ‘Open House’ on Lockner. A chance to look at what other residents on Lockner have done with their properties, or showcase your home and share experiences, ideas and tips for home improvements. If you would like to be involved – either looking into peoples homes for inspiration, or to share your home with others – please get in touch by emailing Locknertra@gmail.com with the subject line “Open House”. This will be our 9th Big Lunch on Lockner. This year the theme is all things carnival, so we can expect Notting Hill vibes, plenty for the children and Lorenzos famous jerk. Feel free to bring along some food to share, chairs, tables – anything you like (or just your self, no pressure!). If you have any energy or time on the morning we will be setting up in the GREEN park (each park has different coloured railings) from 11am and any extra hands would be much appreciated.